A dramatic flower which is perfect for a brooch or necklace centrepiece is available as an individual pattern or in Geometric Beadwork Volume 2 or as a kit. 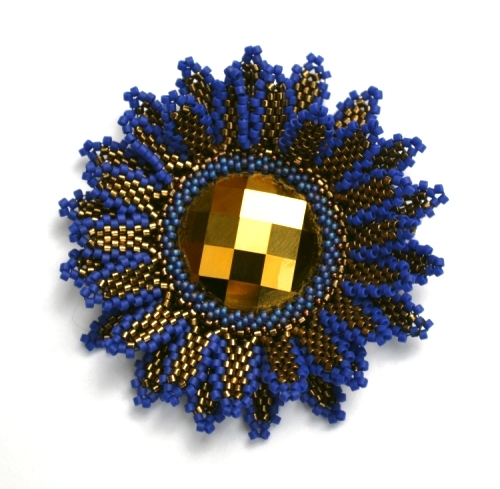 Based on a lot of the techniques I have developed as part of my Geometric Beadwork Series. You can see a different colour variation of the project here.